Sadly, most of us eat it or wear it! I say this with regards to our money and where we spend most of it on – food and merchandise. Two weeks ago, I caught up with a friend who’s 23 this year, and just found out she is going to be a mother. The biggest sentiment I took away from our conversation? TL;DR: Without these good habits, SHE WAS NOT FINANCIALLY PREPARED FOR THIS. If life throws you a curveball as such, and you choose to go ahead with keeping the child, will you be financially ready for all that is to come? Speaking from the perspective of a young female adult with the goals of attaining financial freedom somewhere down the road, it’s pretty undeniable that we ladies can be way more notorious for our extreme spending habits. Perhaps some of us even take a back seat in making key decisions for finances because we assume the more passive role in our relationships. How then, as a woman, can you make sure that you’re financially prepared and secured if and when the time comes? Be it unexpected pregnancies, illnesses or *gasp* a divorce where you’re left stranded? Understand your budget. Your budget should focus on 2 main components: income and expenditure – you’ll need to keep up with these two to make your budget work. Know your income. Use a personal expense tracker to do 90% of the work for you, from tracking your income (salary, investment incomes etc. ), to tracking all expenditure (daily spendings, rent, and taxes). Don’t forget to include things like non-recurring items and arbitrary purchases, which usually go forgotten but actually contribute quite a bit to eating away at your gross income. 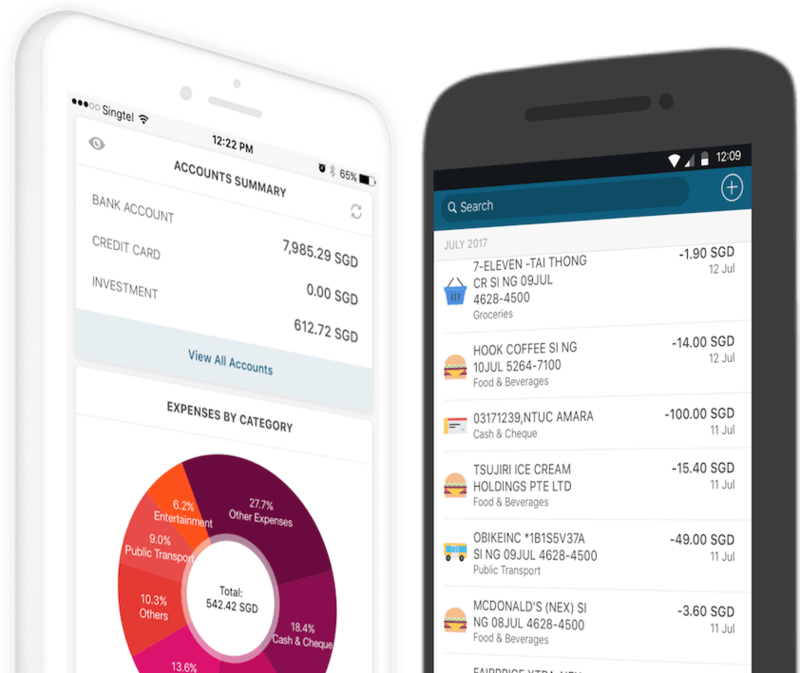 Seedly’s own Expense Tracking app should have all you need to keep your budget in check. By this, I don’t mean buying yourself that overly-priced ugly pair of FILA sneakers, or that puny LV bag that might look good but fails terribly in functionality. Our likes and fancies tend to lead us women to wrongly allocate proportions of our income to dressing up to look good, when you can actually use that money to upgrade and hone your skills. Every woman should know her value and the importance of upgrading herself. Dedicate time for self-development and widen your repertoire of core skills. Increase your chances of being able to capitalise on good – and possibly lucrative! – opportunities which come your way. Drill this into your head, because it seems to be one of the most valuable mindsets when you approach the topic of personal finance. If you seek to be a financially savvy woman, save or ‘pay’ yourself first before paying for expenses. Automatic transfers are one of the simplest ways to save money and build wealth effortlessly. Start small, and once you start saving and building momentum, it gets easier. Set up an emergency fund. There’s absolutely no reason not to have a bit of spare funds for emergencies. While this is not the only metric that matters, it is one of the ways you can check in on your progress towards your personal financial goals. Are you hoping to BTO or make a big investment soon? If yes, you would want to make sure that you’re gearing your savings toward the right assets, and also ensure that whatever debt balances present are not hindering the process. Definitely easier than it sounds. Be it joining the coolest company for a fancy after-work dinner, a round of drinks or keeping up with the latest fashion trend to be the “seen” one amongst the crowd… you know you can say NO. With the way society is wired, we tend to let our lives revolve around negligible, materialistic things that could end up accumulating $114 a month in wasted money. More than half (54%) believe they will struggle to cope financially if their partner dies, compared to 47 percent of their global peers. 41% of Singapore’s working-age women either do not know how much they are putting aside for retirement or have not started making any contributions at all. This is in stark contrast to Singapore men, of whom just 31% are in the same position. Slightly over a third of women in Singapore believe they are saving more than their partner. Only one in five (21%) women pitch their financial knowledge as higher than their male partners. What this clearly shows is that women are falling behind in terms of preparing for their retirement. In order to be a financially successful woman, start your retirement savings plans early in your careers (I’m speaking to all my fellow millennials out there!) to maximise the effect of compounding.